When Boonville and Columbia drivers need Ford repair, they turn to the team at Midwest Autoworx. Our professional and personable auto mechanics are knowledgeable, proficient and experts at most auto repair services, big or small. We genuinely have a passion for the work that we do and can resolve problems with your Ford that other auto repair shops might not catch. The highly qualified auto mechanics at Midwest Autoworx will get your Ford running securely in no time. Our team communicates clearly and will explain the repairs that need to be handled right away, along with auto repairs that can be addressed in the future. 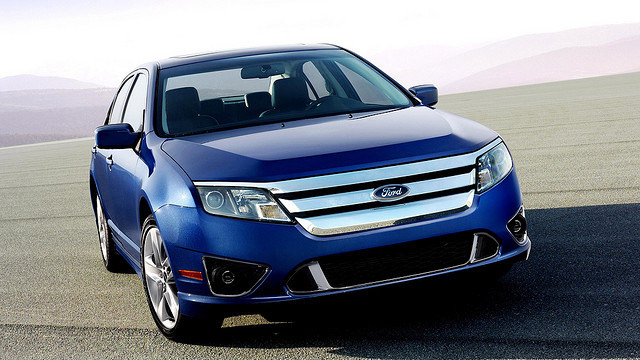 Our master team of technicians is true craftsman with years of working on Fords and other automobiles. For Ford services, call Midwest Autoworx or schedule an appointment online. We’re located at 2001 Rangeline Street in Columbia, MO 65202 and 1300 W. Ashley Road in Boonville, MO 65233. Our professional and qualified auto mechanics will provide you with the most quality Ford auto repair in the region. We look forward to your visit!